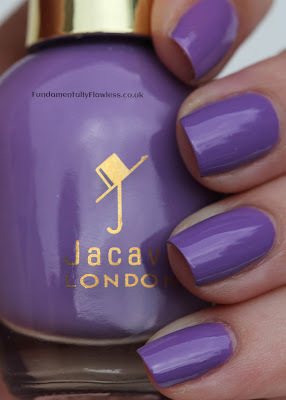 Today I've got a swatch and review of Blueberry Muffin, a lovely purple polish, by British polish brand Jacava London. They're producers of the 'world's first '8-free' nail varnish' - so no DBP, camphor, formaldehyde, toluene, collophane, parabens, phthalates and animal ingredients - they never test on animals and their polish is also vegan friendly. 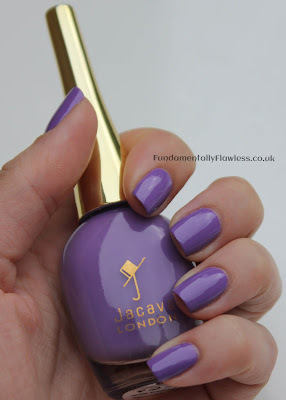 I've come across a growing number of 3-free and 5-free polishes on the market, but they're often not easily available in the UK so it's great to see a British brand going in this direction. Blueberry Muffin is a rich lavendery purple creme polish. 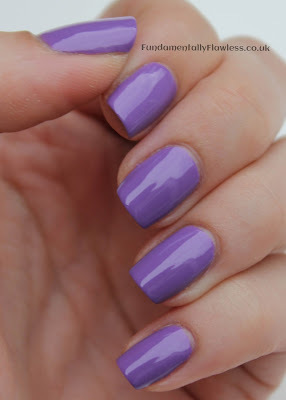 Application was so smooth - the photos below show two coats for complete opacity (you could probably get away with one, but I'm a two-coat girl at all times!) The length of the brush (longer than most polish brands I've come across) helps the smooth and speedy application - and according to Jacava, it's been specially designed to touch the bottom of the bottle so that you can reach the last drop (which is always good!) 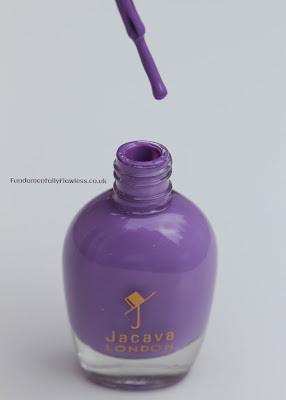 I also loved the long tapered bottle top which was so easy to hold and I didn't feel at risk of dropping it. The polish dried really quickly and was super shiny without a top coat. It lasted well without chipping for a few days (painting my flat probably wasn't the ideal conditions for long-lasting polish) and was a breeze to remove. There are currently 18 colours in their range - mainly pinks, reds, taupes with a green, a blue and a couple of purples. 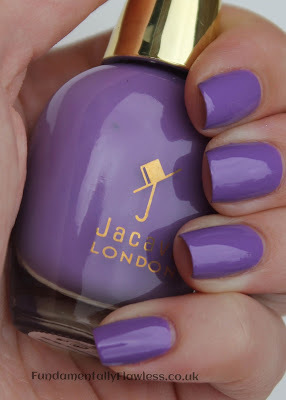 I hope they'll be bringing out more colours in the coming months - it's definitely a polish I would buy in future, though at the price it'll have to be a special treat polish! 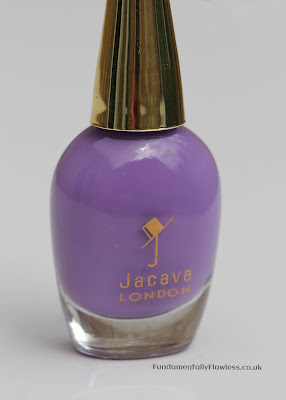 Jacava polishes are available on their website (www.jacava.com) and on Amazon priced at £14.50/12ml.